While milk of magnesia wasn't originally created for this purpose, it can help combat oily skin, helping to create smoother skin in the process. Using some milk of magnesia for oily skin can help prevent blemishes and irritations before they start. Originally appointed by doctors to relieve constipation and other gastro-intestinal issues, now doctors are recommending milk of magnesia (magnesium hydroxide) for oily skin care. Usually sold now in tablet form, the liquid version is still available. This inexpensive product may be a simple solution for those looking for a remedy to reduce the shiny appearance of oily skin. Since it is usually only sold in a large quantity, you can have a long term solution at a small cost, dividing up a portion of the milk into a smaller container and storing it somewhere convenient until you need more. Use this product on your skin immediately after washing the face. Cleanse your skin as usual and then pat dry with a towel. Using a cleansing product specially designed for oily skin will help further reduce shine. Using just a thin layer, apply the milk of magnesia all over the face with a cotton ball. You will find the consistency greatly resembles calamine lotion, meaning that just a small amount goes an impressively long way. After your face is completely dried and you have applied the milk of magnesia to your skin, allow it to dry. Apply your regular makeup on top of it if you are planning on wearing cosmetics. Pressed powder is not recommended for oily skin, as it does not give your face a chance to breathe. Try a loose powder on top of the milk of magnesia and foundation instead, as your skin will feel smoother and dryer than what is otherwise typical for your skin type. Many women also use the Milk of Magnesia as a primer for the sole purpose of having a smoother canvas to apply makeup on. Its oil-blotting properties regularly amaze those who have tried everything else, and some women who experience a slight increase in oil production during the summer months keep it on hand for those seasonal outbreaks and other skincare issues. Milk of magnesia reigns supreme in the makeup books of brides and others who are looking for a way to keep their makeup going strong all day. Causing products to "cling" to the skin, it has helped women look flawless in photos and ensured they never have to worry about touching up their otherwise oily and difficult skin. 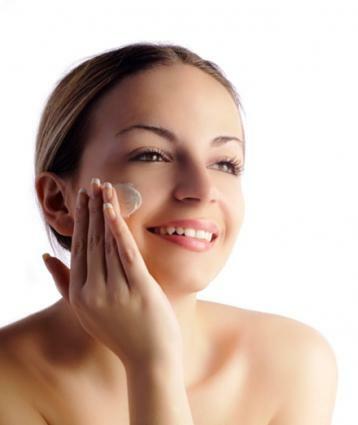 Those who do not have oily skin have may have issues with dryness and tightness when using milk of magnesia. This is truly meant for those who experience genuine problems with oily skin. If you have combination skin or oily skin only very occasionally, milk of magnesia can be too harsh, causing irritation and flakiness. If you want to use milk of magnesia on combination skin, apply only in areas truly affected by oil. Milk of magnesia may also tighten your pores, which could end up being another issue for those who have dry or sensitive skin. Another potential side effect is a "chalky" or whitish film on the face. This is usually a result of applying too much of the product to the skin. Remember to use very sparingly, and if this still occurs, consider an alternative form of treatment for your oily skin. If you've tried other remedies for countering your oily skin without success, consider giving milk of magnesia a try. This inexpensive and simple solution may be just what you've been looking for.